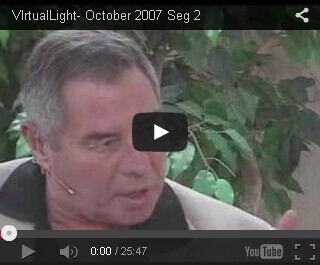 demonstrating why Energetic Balancing is so necessary. 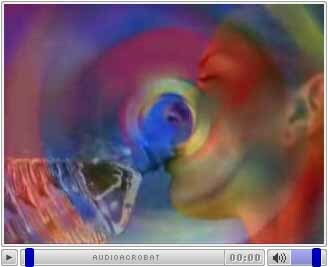 increase your consciousness and look and feel younger. 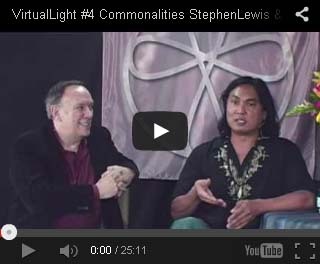 commonalities between all of thier different forms of work. 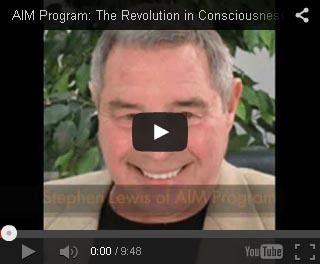 Stephen Lewis explains The AIM Program of Energetic Balancing. Browse the list below and click on a number or description to find negative manifestations that went away after these people participated in the AIM Program. Or CLICK HERE for written testimonials. After participating in the AIM Program, Toni says she recovered from ovarian cancer, known as "the silent killer" because it's usually too late by the time it is diagnosed. 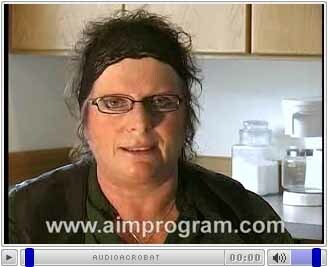 Merrilyn's life turned around after she went on the AIM Program. Life on AIM incites deep gratitude for the positive changes in her life. Once the youngest US Olympic women's swim team member, Katrina was diagnosed with Chronic Fatigue Syndrome. After 10 years in which she became nearly crippled, needing handicap license plates and not being able to go up and down stairs, she went on AIM. In less than two years, she made it back to world class swimming status and competed at the national level to become the oldest US women's Olympic swim team member. In August 2005 her doctor told her she had ovarian cancer. Her CA-125 antigen test showed 860 where normal is below 30. Two weeks later she was tested again. The result was 1416. 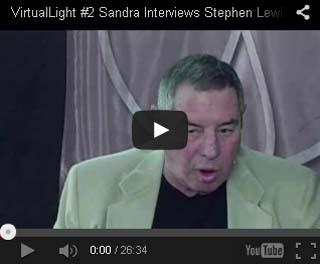 Determined to live, over the next few months she found the novel Sanctuary: The Path to Consciousness and went on the AIM Program. In March 2006, a miracle: her CA-125 test had gone down to 5. Soon after, a long-time problem with osteoporosis in her hip also vanished -- just before she was to have surgery. No wonder she is grateful for the AIM Program. Toni healed her ovarian cancer, then faced another crisis. A long-time problem with osteoarthritis in her hip needed joint-replacement surgery. Though EMC2 would never tell her to do it, Toni decided to cancel the surgery when a new healing frequency emerged that she felt was relevant to her. Two weeks later, her pain was gone and the surgery has never been performed. 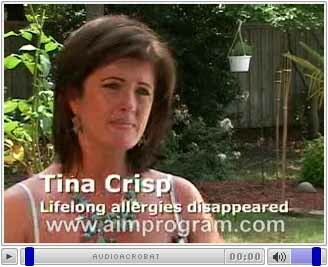 Tina's lifelong allergies vanished after participating in the AIM Program. Renee can now enjoy her cats without discomfort after her allergies vanished. Cathy, a professional nurse, heard about AIM from a nurse she worked with whose skin cancer went away after going on the trays. 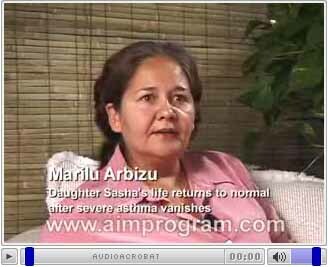 Young Sasha suffered from severe asthma requiring intensive medical care. 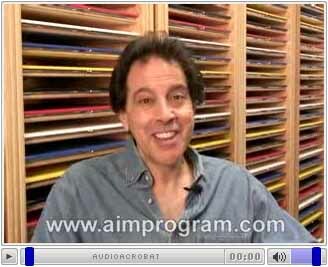 After hearing about AIM via a Dr. Wayne Dyer book, Marilu puts her daughter on the program. Now Sasha lives a normal life. 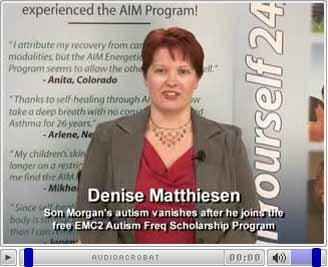 EMC2's free program for autism results in Denise's child becoming the first in his school to leave the autistic children's program and going into regular classes. As an adult, Clare H. was still functioning as a young child. After her parents put her on EMC2's free program for autistic children, they saw almost immediate changes in her. Merrilyn had been addicted to drugs since an early age. 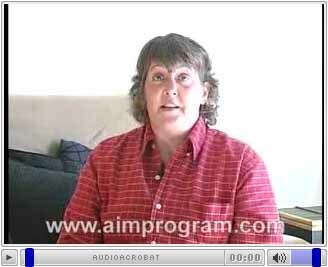 After participating in the AIM Program, she changed her life. Emily had been diagnosed with Stage IV lymphoma and went on the AIM Program. The lymphoma disappeared. Then Emily noticed that her arthritis had also disappeared. 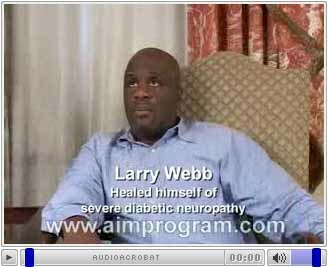 Larry's diabetes had deteriorated to where he was in severe pain and could barely walk. 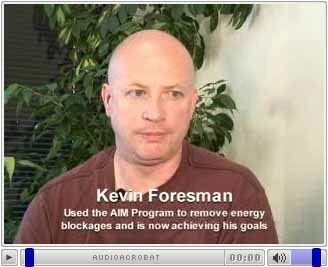 After participating in the AIM Program, the pain went away and he lives a normal life. 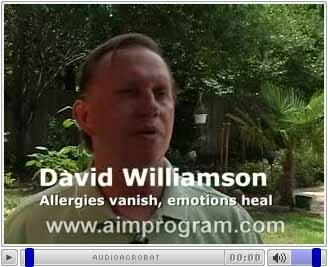 David's allergies went away and he felt emotionally transformed after participating in the AIM Program. 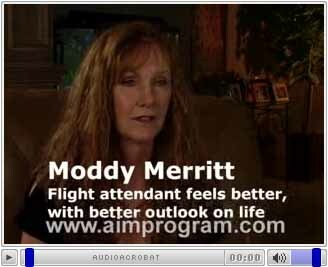 Moddy, a flight attendant, feels better all the time and has a better outlook on life and she credits the AIM Program. 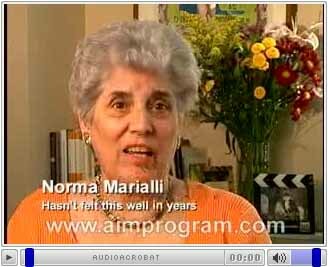 Norma feels better than she thought possible after participating in the AIM Program. 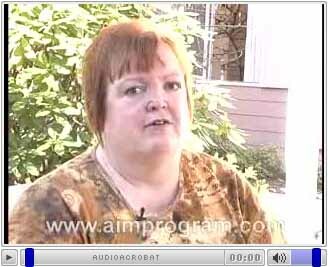 Cathy, a professional nurse, says that you just function better when you're participating in the AIM Program. 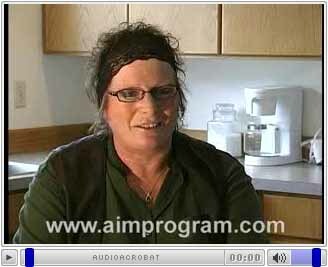 Toni credits the AIM Program with saving her life. She wanted to share her transformation with you. 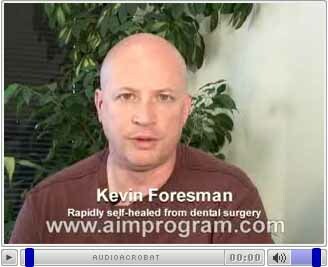 Kevin believes that his recovery from dental surgery was much faster due to his participation in the AIM Program. 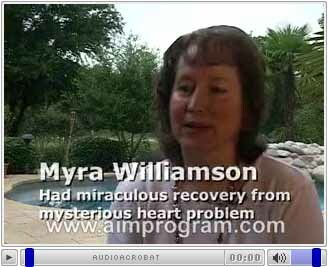 For years, Myra had a heart problem that baffled her doctors. After participating on the AIM Program, she seems to have healed herself. 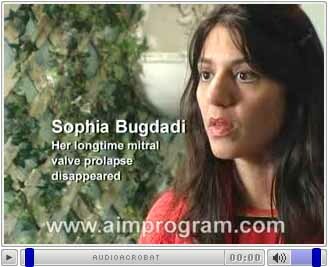 Sophia had a defect in her mitral valve, discovered when she was a teenager. As an adult, she went on the AIM Program and soon after her doctors could not find any sign of the earlier defect. Cathy, a professional nurse, went on the AIM Program after another nurse told her that her skin cancer had gone away after participating in the program. Cathy was amazed when a many-year problem with severe arterial blockage clears up after she tries the AIM Program herself. 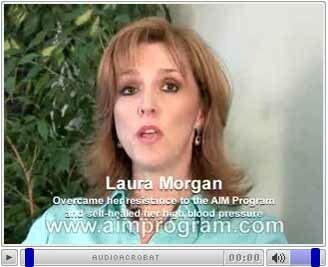 Laura couldn't understand why she had high blood pressure. 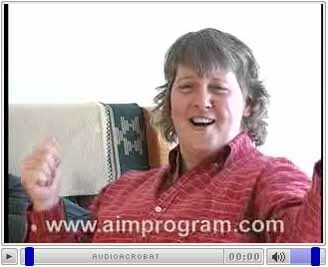 She went on the AIM Program and found that the problem went away. 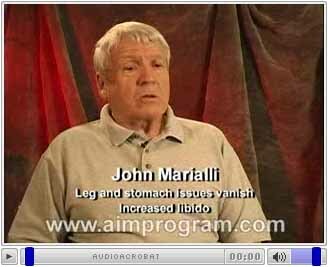 John's long term digestive problems disappeared after he went on the AIM Program. He says his love life improved as well. 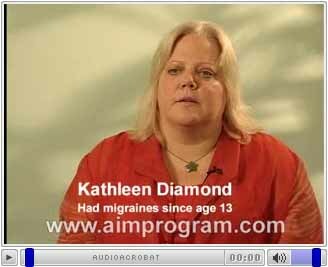 Kathy suffered from migraines for many years. She says they went away after she participated in the AIM Program. 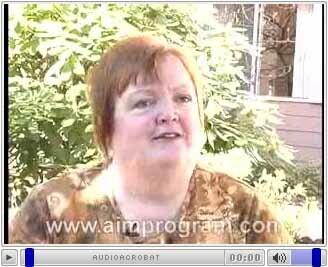 Myra was bedridden for years with an undiagnosable illness, until she healed herself after going on the AIM Program. Kevin's career took off when he went on AIM. 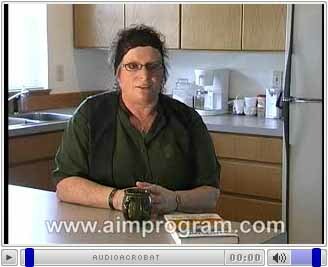 Things seemed to fall in place for Frank after he went on the AIM Program. Help visualize your own healing.